Where else can you receive the following? Rate Shrinker- Patented technology that guarantees best pricing on airfare, hotels and rental cars through provided booking engine that also provides a credit if airfare price drops. Tailored packages available based upon individual needs, wants and desires. Where do you want to go on your next vacation? Whether the beach, the mountains, an event or across the world, we have Vacation Condos around the world. Let us know where you would like to go along with travel dates. We will provide specific web address to resorts providing all details. 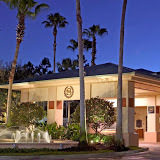 All Condos are based upon availability.